The Honors Living Learning Community (LLC) in Bridgman Hall is an awesome place for Honors students to live, learn, and play. LLC students adventure together, eat together, study together, and help to run Bridgman Hall and the University Honors Program. Plus, the Honors LLC offers a great support system of Honors student mentors, your fellow Honors LLC cohorts, and experienced Honors resident advisers (RAs) who are ready to help you get the most out of Honors and college life. I loved the Honors LLC (Living Learning Community). I don't think my Honors experience would have been complete without it. Living in the Honors LLC allowed me to form lifelong friendships. It also helped me to become involved in the Honors community, and it encouraged me to try new things and take charge of my undergraduate career. 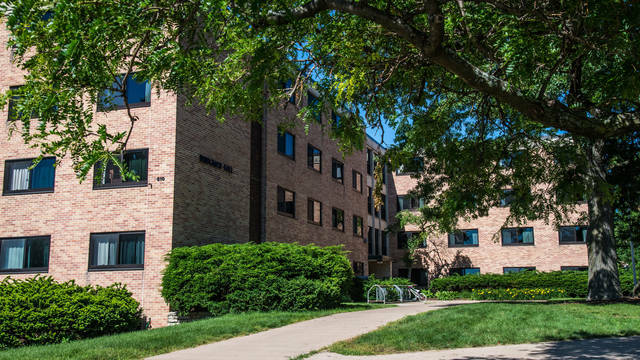 Located on upper campus, Bridgman Hall is one of twelve dorms on campus.